Fancy a sleek curved 34-inch LG monitor and $10,000? Of course you do! LG is looking for participants for its UltraWide Festival. Upload a video to YouTube describing your current home setup, how it could be improved, and you could be one of three people winning the top cash prize, or one of 30 semi-finalists who win a brand-new LG Curved UltraWide Monitor. LG's flagship monitor sits on a Space Black metallic stand that will look classy in any home setup. Just under the front LG logo is a subtle joystick used to navigate the OSD. 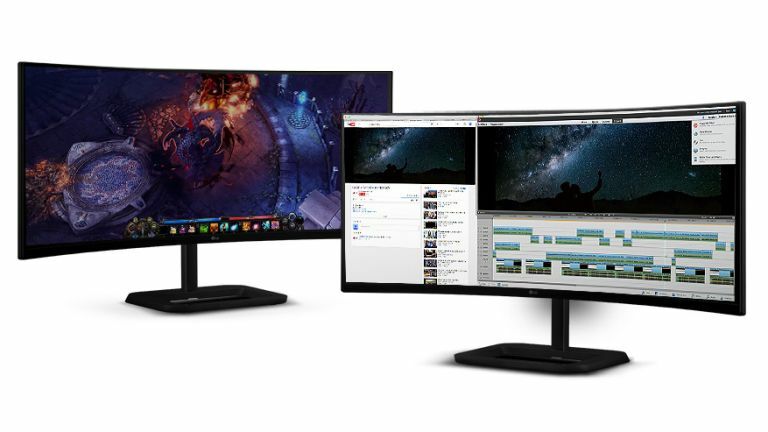 There's a USB 3.0 hub, two Thunderbolt 2.0 ports for Mac users and a 4-Screen Split mode to make the most of the 3440x1440 resolution. With a massive 21:9 ratio, that's 2.4 times more visual information than a standard 16:9 screen, you'll no longer need to worry about overlapping windows or task switching, just keep everything all on one screen. Gamers will love the native Dual Link-Up, link two screens to make a visual setup that would look at home on the deck of the Starship Enterprise. And let's not forget the curved screen itself which reduces color distortion and makes seeing both edges of the monitor easier than a traditional flat screen. So you want one? Well, grab a camera or smartphone and get creative. Judging your video will be three of YouTube's most popular tech stars: Linus Sebastian from LinusTechTips, Lewis Hilsenteger from Unbox Therapy and Jahova Witniss. They'll whittle down the entries to 30 semi-finalists, and from them three winners will get to make their $10,000 Dream Setup. Not only that, they will also get an all-expenses trip to Vancouver for the Finale Party! Head to www.ultrawidefestival.com for more information, you have until 25 September to upload a video of your Dream Setup and you could be celebrating with $10,000 in Vancouver at the winners' ceremony in December!